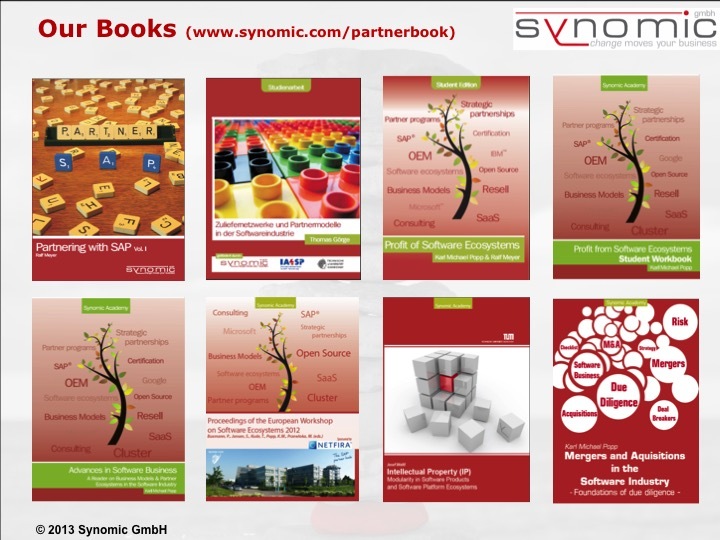 Meanwhile Synomic Academy published successfully 10 “Enterprise Software Ecosystem” books – including the EWSECO 2013 + 2014 proceedings. Goal of the Synomic Academy is to provide Software Industry inside such as i.e. on Alliances, Ecosystems, Partnerships, Go-to-Market, Open Source, SAP etc. for both Universities and Business. Synomic closely works with researchers and experienced business experts. Please see our Research Page or Amazon for further details.